Ownership / Access: Local Authority. Open to the public. Opening times: Open from morning until dusk. Price of admission: Free entry. Notes: Canterbury Castle is a Norman Castle in Canterbury, Kent, England (grid reference TR14545743). 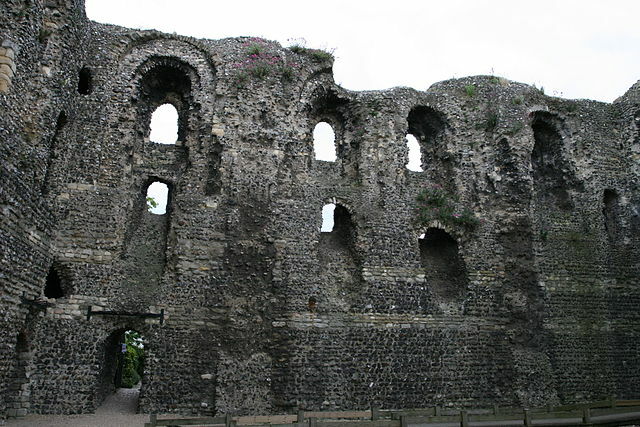 It is a five minute walk from Canterbury East Station and main bus station around City Wall. Canterbury Castle was one of the three original Royal castles of Kent (the other two being Rochester Castle and Dover Castle). They were all built soon after the Battle of Hastings, on the main Roman road from Dover to London. This was the route taken by William the Conqueror in October 1066, and they were built originally as motte and bailey castles to guard this important route. Archaeological and historical sources, reconstructions.